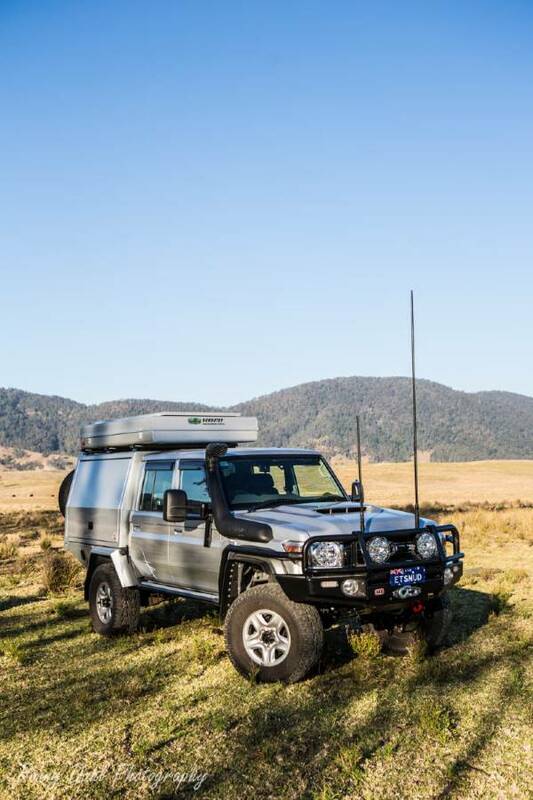 Another Landcruiser dual cab 79 series, this one being the first of the 2017 (updated version) versions to make it onto Modified and this one has portal axles! Sean owns one of the cleanest built 79’s that I’ve seen to date (with 4 wheels not 6). The interior is immaculate and the latest mods done to the rear (after the shoot) are so well organized. No over the top mods here, just high quality which will last for a long time. 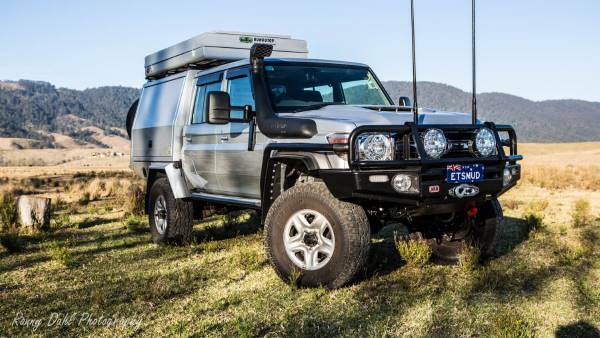 The only part I would question on this vehicle are the front shocks but other than that it’s a ‘high quality build’. The roof top tent (RTT) is something I’ve never seen before and opens plus closes automatically within 20secs! Being on portal axles this Landcruiser really has great underbody clearance and at the same time is engineered and gains good height without the body roll. For everything else watch the feature. · Lovells springs and coils rated to 600kg constant. · 2 rear mounted spare Tyres. Interior of canopy roof has axe and shovel mounts. Recaro Drver and passenger seats with arm rests. Dept Of The Car interior T shaped roof console and floor console. · Warn Zeon front and rear winches. Picking it up after the portal axles where fitted. 2. Electrics Keep it all in the canopy, it's where you are going to use most of your power. 3. Driving seats, a must have for those long trips. 2. 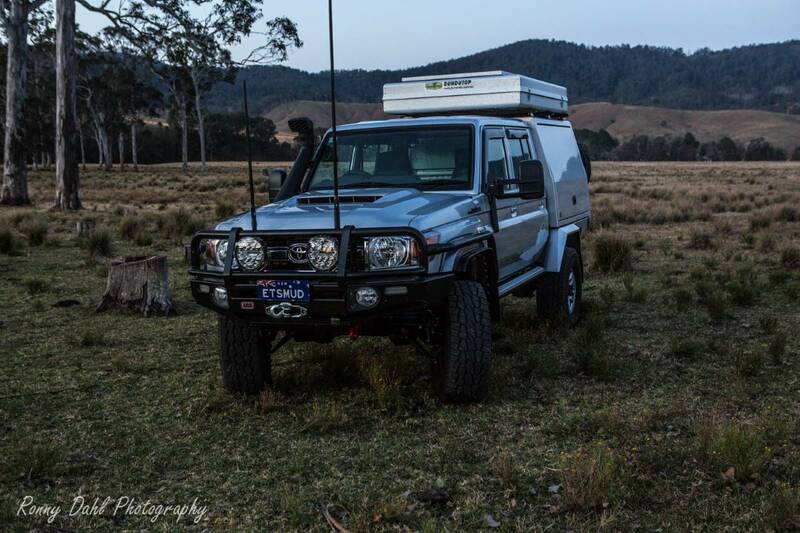 .Trigpoint Canopy, attention to detail makes it usable and practical. Ive previously owned one and they are a great platform to build upon. 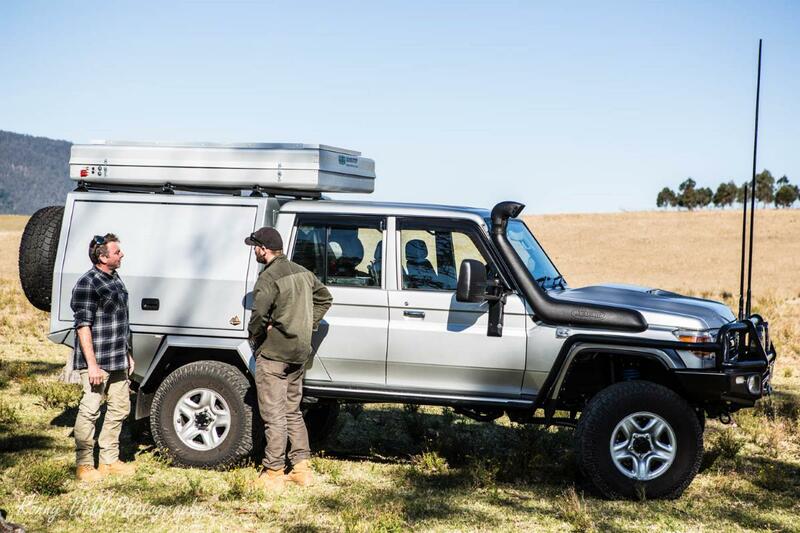 What inspired you to build the Landcruiser? Previousl ownership of 2 others. 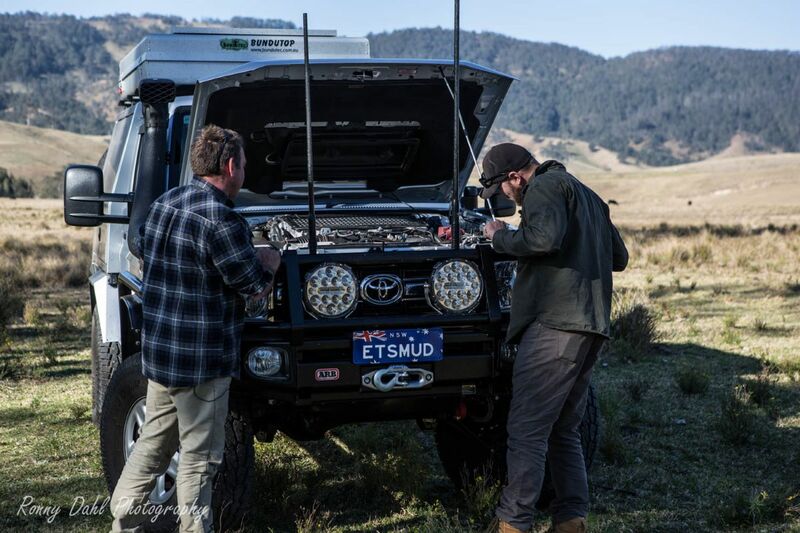 Ian and Chris from Ians Auto Shop in Goulburn for there extreme attention to detail in the installation of all the accessories. Murry from Tripoint canopies for his installation of the canopy that is made to perfection. 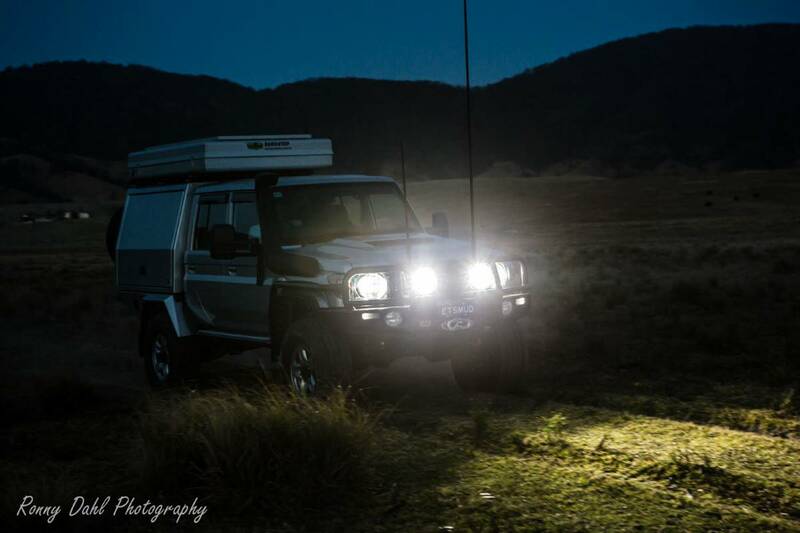 Leave Landcruiser Dual Cab And Go 4 Wheeling In Western Australia. 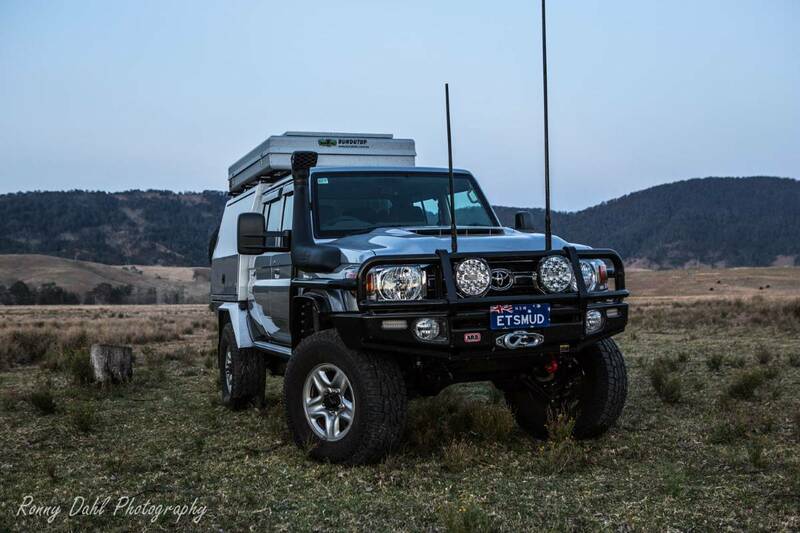 Go To Modified 4x4 Trucks.